Get exceptional reliability and easy, brilliant color printing with genuine HP brand Color Sphere cartridges. Nothing comes closer to perfect printing. Reliable printing drives office productivity. 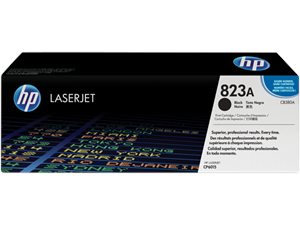 ColorSphere toner & intelligence built into the Original HP cartridge enable fast, high-quality, reliable printing. Trouble-free printing can save time, increase productivity & lower your overall costs of printing. Keep the office running smoothly with manageability features enabled by Original HP print cartridges. Intelligence built-into the cartridge communicates with the printer to track usage and provide alerts, so it's easy to keep supplies on hand. Average continuous Black Cartridge yield 16500 standard pages. Declared yield value in accordance with ISO/IEC 19798.